Enhance the modern look of your home with this amazing piece of art and time. 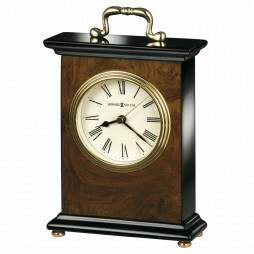 This Howard Miller Berkley Bracket Clock with attractive high-gloss walnut piano finish on a hardwood featuring a wood burl pattern on the front and back, with black sides, top and base. Polished brass button feet and a polished brass tone waterfall bezel and glass crystal. The off-white dial features black Roman numerals, black hour and minute hands, with a brass second hand. Quartz movement includes battery. Give your bedroom a romantic touch by keeping this Howard Miller Soloman Table Clock. Pivoting round brushed brass-finished case set in a polished brass-finished cradle sits on top of a rectangular, satin Rosewood-finished base with chamfered corners. A glass crystal reveals the intricate, polished brass finished skeleton movement. 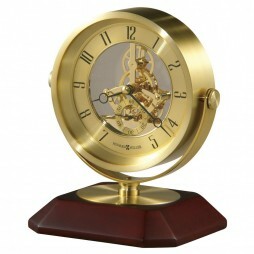 This stylish clock easily blends with the interiors of your room. 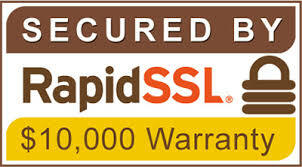 It has a pretty design and can be used as a gift as well. 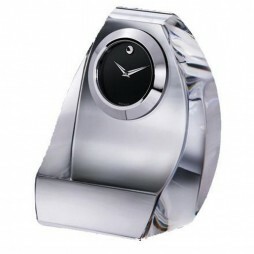 Improve your living room decor with the stylish design of this Movado Crystal Slope Table Clock. 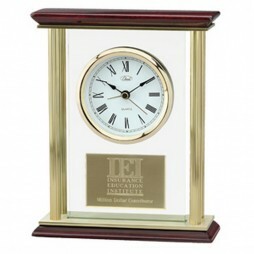 The unique table clock features a classic black museum dial to add appeal to your ambiance. 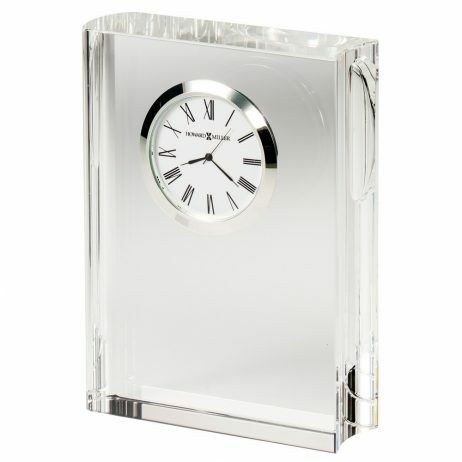 Easy to maintain and use, this long-lasting wall clock adds a touch of clarity and style to your room furnishing.